Food, water, energy, shelter — these are the basic things we need to live well. The systems that provide them are as specific to the places where we live as they are vulnerable to global patterns and pressures. In an age of superstorms, financial meltdowns, and giant pipelines cutting through some of the last, best places on earth, it is clear we need a new operating system for the 21st century. 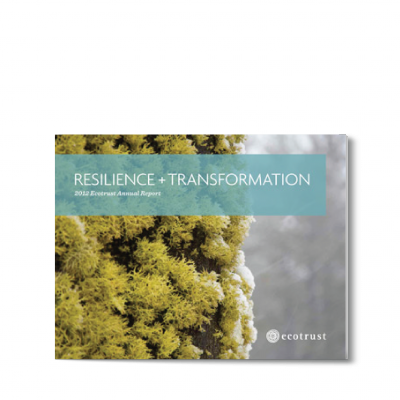 We believe that approach is found in resilience — the capacity to influence and adapt to change. In everything we do, we work to create systemic responses to systemic challenges. Building this culture begins at home — in the forests and coasts, cities and communities, mountains and rivers of Salmon Nation. It is a culture that operates at multiple scales from the individual to the community to the regional to the global.